Eating chain pizza without an accompanying selection of chain pizza breadsticks, or breadstick-adjacent accessories, is like listening to Paul without John. It's like watching Laverne without Shirley. And -- just to make sure we have a reference from the past half-century in here -- it's like Kim without assorted other Kardashian/Jenners by her side (for her to glare at). Sure, it could work. But... why even try it? 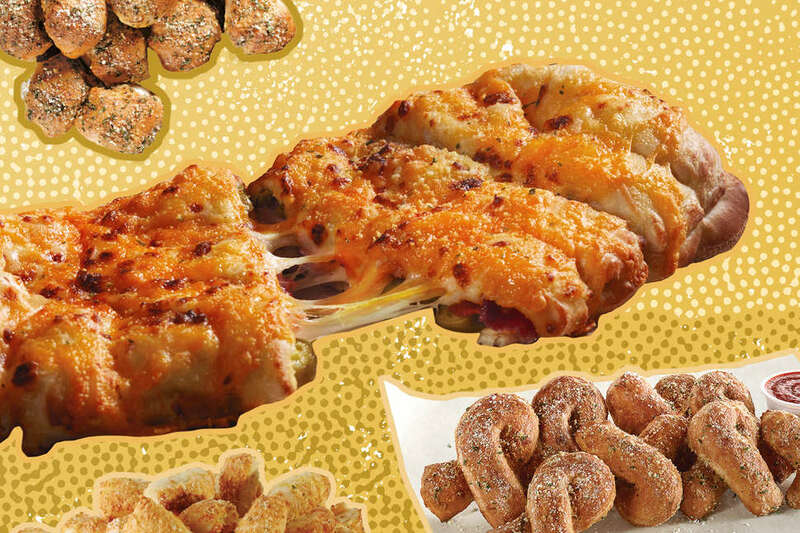 I think we can agree breadsticks, garlic knots, cheese sticks, and the like have become essential fare for every pizza chain. 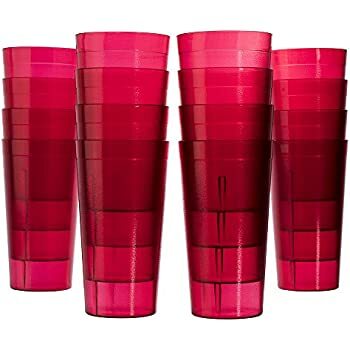 But, despite popular belief, not all pizza accessories from the "Big Four" pizza chains (Pizza Hut, Domino's, Little Caesar's, and Papa Maybe-Not-John's-Anymore) are indistinguishable. In fact, there's some major variance between the brand's sides. If you don't believe me, please scroll down. I mean, that's what you came here for, right? Domino's bread-based apps section reminds me of that kid in high school that was part of every club, on every sports team, and also still had time to volunteer at the soup kitchen and help your dad mow the lawn every Sunday. They are your textbook overachiever, offering more options than anyone could ever want. Everything they offer is fairly solid; the chain's biggest "difference-maker" almost certainly is their "twists," which basically deliver the classic breadstick in a pretzel-esque vessel -- letting you actually get more food in one bite than the traditional phallus-like shape of your average breadstick. It basically shoves the whole thing in your mouth, for you -- and might be a superior method. 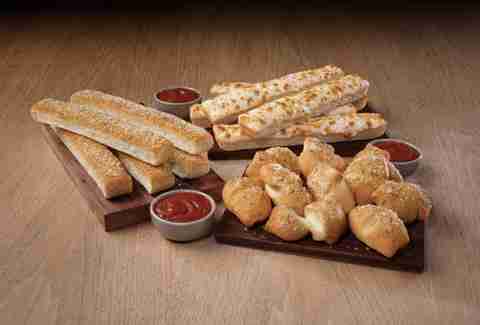 Plus, for everyone who grew up ordering the chain's classic Cinnamon Sticks (RIP! ), their Cinnamon Bread Twists are the closest modern day analogue. Ah, sweet nostalgia. Unlike their recent controversies, Papa John's breadsticks are surprisingly uncomplicated. In fact, they kind of taste like someone ripped the crust of a Papa John's pizza, then served it solo (this isn't necessarily a bad thing, by the way). But the real star of PJ's lineup is its kaleidoscopic array of dipping sauces, which totally make up for any lack of flavor in the sticks. The chain also gets points for being the only one on this list to serve true, basic, unadulterated garlic knots with their pizza. Which also taste a lot better when dipped in their transcendent garlic sauce. As almost anything would. Even Peyton Manning. 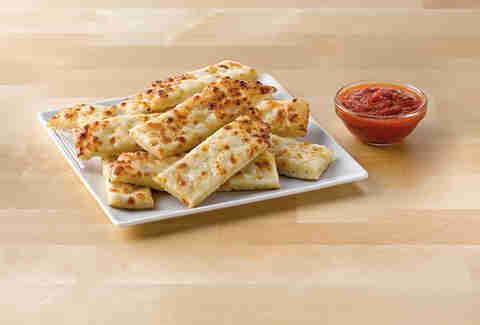 Pizza Hut's breadsticks are very thick. They're almost "thicc." I'm actually getting a little full just looking at them. They are super soft, and have that same distinct, "personal pan pizza" flavor that you probably remember from after-school pizza parties (now all you need are those ubiquitous red cups). 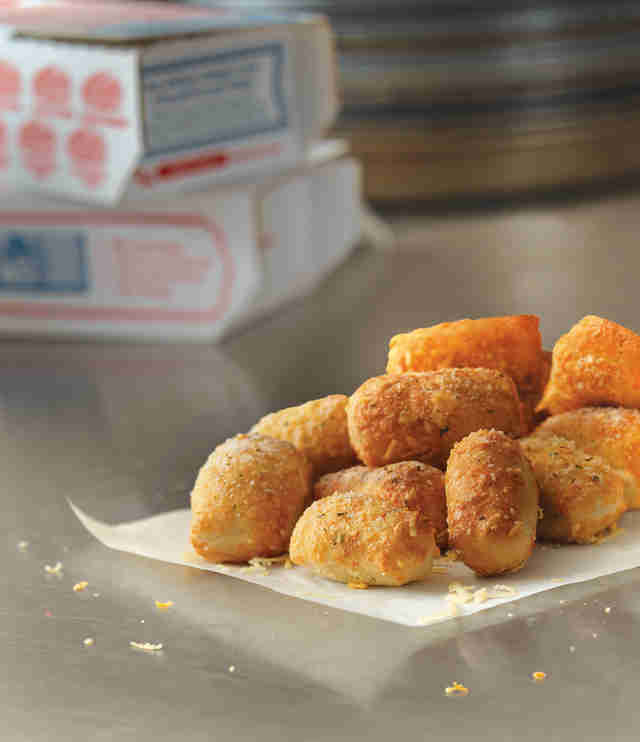 The star of the show here is, undoubtably, their cheese sticks -- which take the already girthy originals, and top them with a layer of thick cheese. Eating them is surprisingly easy, even if you don't feel very lithe afterwards. Out of any entry on this list, these could actually serve as a standalone meal. And after eating one, they honestly might have to. 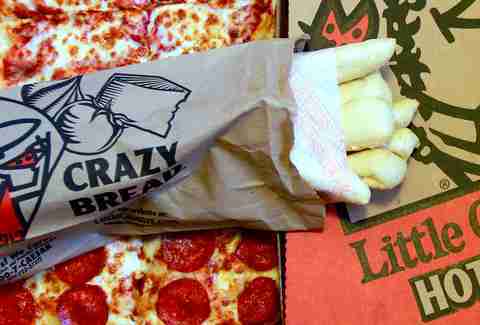 Here's the thing about Little Caesar's Crazy Bread: It's not really that crazy. In fact, it's probably the least crazy thing on their entire menu, and equally, on this list. They are just greasy, parm-and-oil-soaked breadsticks served in a paper bag. They are pillowy. They are soft. And they are more addictive than playing Mario Kart whilst smoking crack. Their Italian Cheese Bread is basically deep-dish pizza, sans sauce. And their Cinnamon Crazy Bites are like the love-child of Cinnabon and... well, Little Caesar's. But overall, stick to the basic Crazy Bread. You won't regret it. Even if you end up gaining a few dozen pounds.